You are here: Home / News / Corporate / Safety first ! Respect for safety is a core value @ Geldof! Therefore, we use every campaign, promotion & event possible to highlight its importance for everyone involved. As the company strives to be safe, healthy & sustainable, we want to encourage our employees, but also thank them for their commitment and contribution to a workspace without accidents. After reaching a first milestone in our continued efforts, everybody could enjoy a delicious piece of fruit. Last Tuesday, we reached a second milestone for working safe and without accidents. 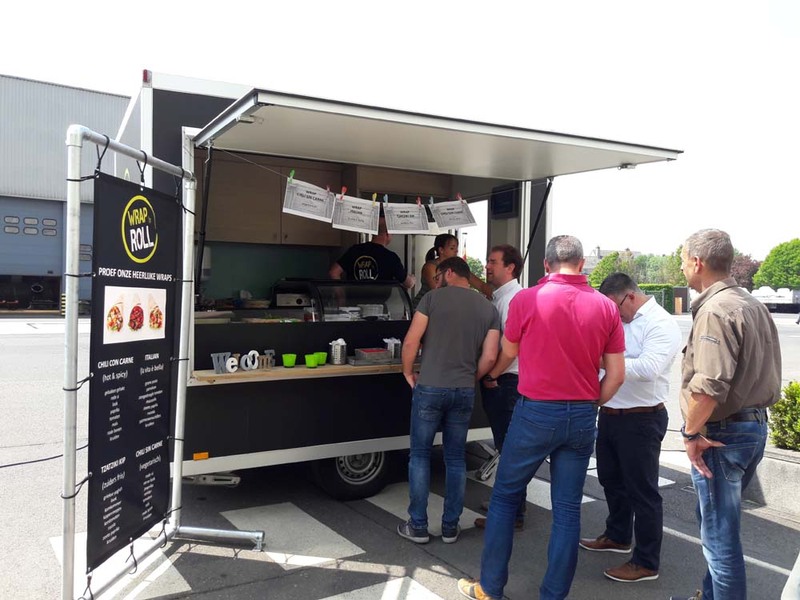 To highlight this, the employees enjoyed food truck catering for lunch during a sunny break. With these initiatives, we want to remind everyone not only of the importance of a safe, but also a healthy environment. Today we are proud and extremely motivated to continue this route together and we are looking forward to keep working in a safe and healthy way! https://geldof.be/wp-content/uploads/2018/05/180530_Geldof_200dagen.jpg 750 1000 Sophie Verhaeghe https://www.geldof.be/wp-content/uploads/2018/10/Geldof_Logos_Loop.gif Sophie Verhaeghe2018-05-30 13:51:282018-05-30 13:51:28Safety first !